In partnership with Dom Cabral Foundation, the PDD is directed to MILPLAN executives. 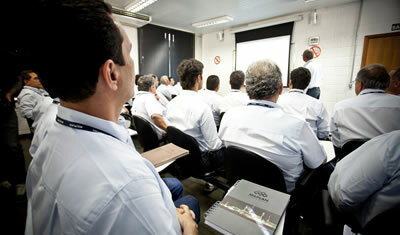 The program consists of six modules focusing on Strategy, Marketing and Sales, Finance, People, Processes and Projects. In each module the FDC consultants trigger discussions on the relevant issues at the level of participants and enables a rich discussion and exchange of experiences among professionals of various member companies. Training in PDD allows MILPLAN executives a systemic vision, business development, strategic outcomes and the perpetuation of the company.